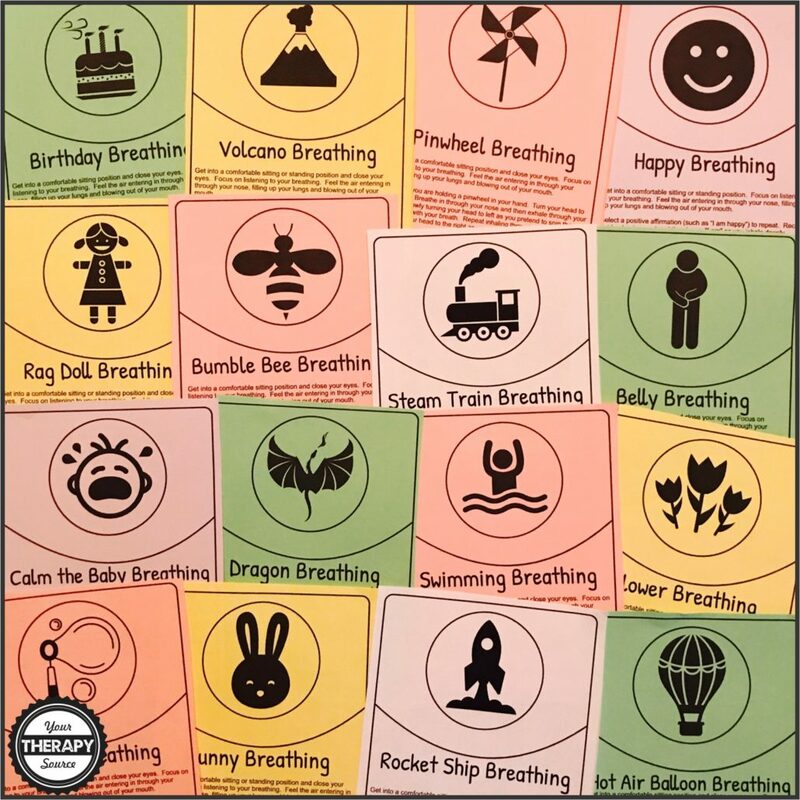 Did you know that deep breathing exercises can help to alleviate stress, reduce anxiety, strengthen the attention span and sharpen the ability to focus and learn? In addition, deep breathing helps certain physiological responses as well such as slow the heart rate and decrease blood pressure. Seems like an easy fix right? Well, maybe not that easy since it takes practice and time to become mindful of your breathing and to improve your deep breathing techniques. 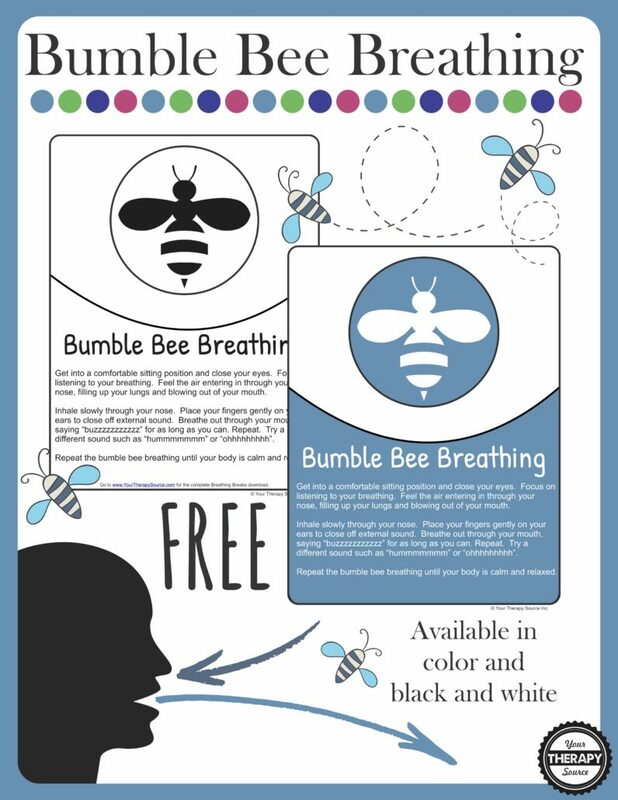 Give it a try with this FREE Bumble Bee Breathing Break. 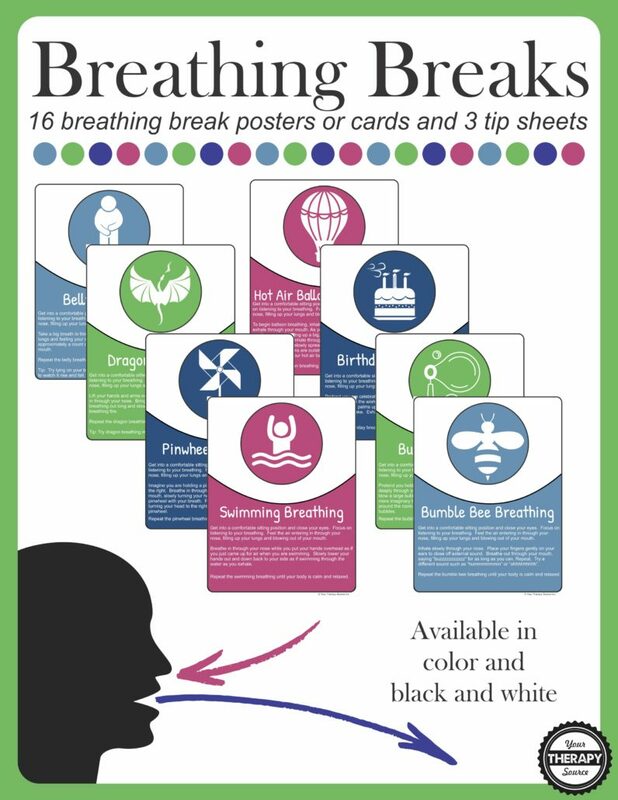 Download your FREE breathing break here (a tab will open in a new window). This is from the Breathing Breaks complete packet. Before the school day begins. After recess to help calm the class. 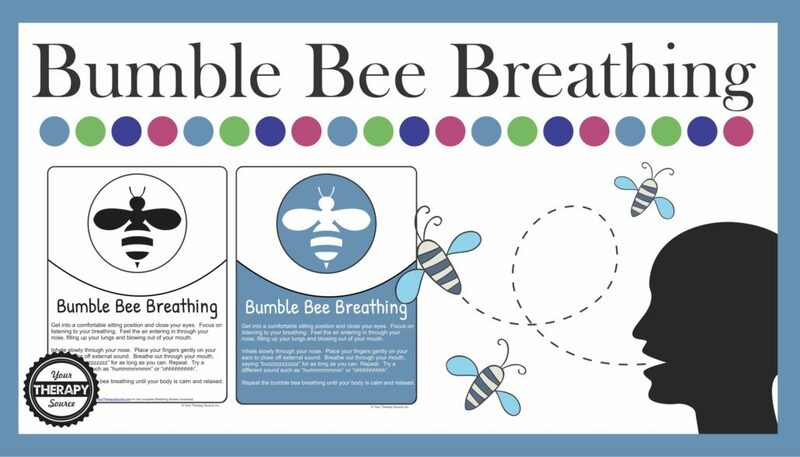 Give the children some time to learn how to do the bumble bee breathing. Make sure they understand the benefits to the exercise and try and keep it serious. Children can get silly easily so remind them to stay focused and mindful on their own breathing. Would love to hear how it goes in your classroom, therapy room or home. Let me know.